Hergé (1907-1983), one of the most original artists of the 20th century, was inspired by the Orient in creating several of his books, including Crab with the Golden Claws , Cigars of the Pharaoh and especially in the Land of the Black Gold. His adventures, translated into Persian as Magerahayeh Tintin, were one of the most popular children&apos;s books shows of our time. Hergé&apos;s work has often been reduced by his critics as childish or too moralistic, They do have a point but it cannot explain why the Tintin adventures have been translated into more than 40 languages. For more than half a century it has been an international library success, especially after the Second World War. With his impeccable style and superb use of color, Hergé certainly influenced several generations worldwide to shape their visual imagination. The ever perfectionist artist, created Tintin in 1929 and produced 24 volumes in all. As a child growing up in Iran I discovered Tintin in the Cigars of the Pharaoh , the apparent comic illustrations of the characters was supported by a strong plot and contrary to the look of the characters, the settings, details and costumes were quite realistic. My favorite albums were the sea adventures The Secret of the Unicorn and Red Rackhams Treasure. One album in particular was quite fascinating. King Ottokar&apos;s Sceptre is about a fantasy kingdom which combines both tradition and modernity, ruled by a benevolent king. As a Belgian, Hergé was naturally attached to the monarchy, nevertheless, the Belgian monarchy was a fragile one due to the linguistic divisions between the Flamands (more Dutch) and the Whalons (closer to French). While taking an oath on the constitution in front of parliament, King Bedouin was whistled at by some deputies who did not accept him as the new monarch. Nevertheless Belgium was to become a constitutional kingdom again and Bedouin became a popular king in the years that followed. Hergé was also to become a close friend of King Bedouin and Queen Fabiola and gave a special album dedicated to the monarchy in King Ottokar&apos;s Sceptre. Tintin is certainly much more elaborated than other cartoon books such as Goscinny (credited for the dialogue) and Uderzo (credited for the drawings) or Asterix which are fun (see Ancestor in Paris). But since Goscinny&apos;s death the new books have lost quality and depth in their dialogue. Hergé&apos;s description of human nature and its shortcomings, have led some critics to accuse him of being intolerant, racist or colonialist (Tintin in Congo), dictatorial minded (Tintin and the Picaros, King Ottokar&apos;s Sceptre). In these Tintin only comes across as the only faultless person. Those who have read Tintin carefully will certainly see the exaggeration of these allegations. Hergé&apos;s Royal Tintin adventures takes place in the fictitious Kingdom of Syldavia ruled by the benevolent King Muskar XII, whose legitimacy rests upon his possession of the Royal Sceptre of his ancestor, which the king must always hold on official occasions each year. Hergé&apos;s genius in creating his books was that he never traveled or left his native country. Since its first publication in 1938, King Ottokar&apos;s Sceptre was reedited a number of times in the 60&apos;s and 70&apos;s.
It is precisely because of combining both tradition and modernity, that Syldavian King Muskar XI&apos;s “Kingdom of the Black Pelican” ressembles that of the era&apos;s in the “Land of the Peacock Throne”. A court filled with intrigue and conspiracies, masterminded by Mützler (a recurrent Tintin villian, he also appears in Explorers on the Moon) head of the “Iron Guard” (see Immortal Guards, and generals) , tries with the help of the neighbouring Republic of Borduria, described as a “Stalin-like society”, to topple the King by stealing the “Ottokar Sceptre”. Mützler&apos;s character and intentions also are quite similar to those of the suave, cunning-looking General Teymour Bakhtiar, former head of the SAVAK secret police, who wanted to topple the Shah with the help of neighbouring Iraq. He could also pass for one of the former Shah&apos;s close friends, General Fardoust who betrayed him in the last years. Hergé&apos;s fanstasy kingdom is of course described in ideal terms. We are not really introduced to the way things are governed in the country. The king appears as a good person, a little in the clouds at first, but once he gets to know Tintin, both try to help each other find the sceptre. The people of the kingdom come across as happy in their rural villiages or urban cities, amidst political intrigues to which most of the population remain indifferent. It should be noted that Hergé appears as himself in many of his books, a little like Hitchcock, and it is the case in King Ottokar&apos;s Sceptre in which he can be seen in crowd greeting Tintin in the coronation hall. Interestingly Iran&apos;s capital is mentioned in Hergé&apos;s Flight 714 to Sydney, where after landing in Djakarta, Tintin and his friends meet an Estonian pilot who has just flown in from Tehran (See Pic). 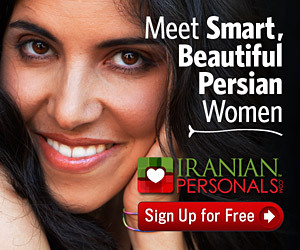 In recent years an Iranian Marjane Satrapi (also see Haji Mosawwar al-Molk) has made the headlines with the overwhelming success of her comic series Persepolis, based on her childhood in pre- and post-revolutionary Iran. She has published her third book which is about her personal experiences in an Austrian religious school in 1984, when she was in her teens after trying to cope with a new culture. Satrapi&apos;s work was praised at the “Bande Dessiné Festival d&apos;Angoulem”. For Iranian readers who have gone through similar experiences, Satrapi&apos;s books are nnevertheless often funny, sarcastic and more revealing for those in West, especially in her latest (1932) are clearly influenced by the Russian Revolution and the American Mafia. Hérgé&apos;s work has earned him the undisputed title of “Father of Modern European Comics”. Even serious scholars have been pondering on the social, artistic and historical importance of his work today. He is to comic strip what Andy Warhol was to Pop art. Hérgé may in fact be the subject of too much scrutiny and analysis for a series of comic books meant essentially to entertain, rather than educate. But their is some truth in those assumptions. Hergé&apos;s entire world was concentrated on creating the comic hero&apos;s adventures in different parts of the world — be it real or fictitious — based on meticulous research of customs, events and history of his time. Tintin was the first to land on the moon, discover the underwater world and its hidden treasures, explore the Antartic, fight Communism, condemn South American dictatorships and denounce revolutionary abuses or false promises. 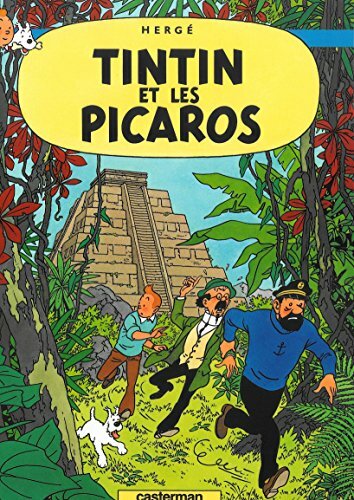 Tintin and the Picaros in 1976 was to be Hergé&apos;s last published adventure, in which he forsees the oil crisis and possible consenquences in The Land of the Black Gold. Hergé was not a visionary nor did he claim to be. But he was certainly one of the artists of the 20th century to have imposed a very unique style, colorful characters and unforgettable stories in which anyone can find inspiration. His books continue to attract new readers from all continents. that is probably what makes Tintin universal.